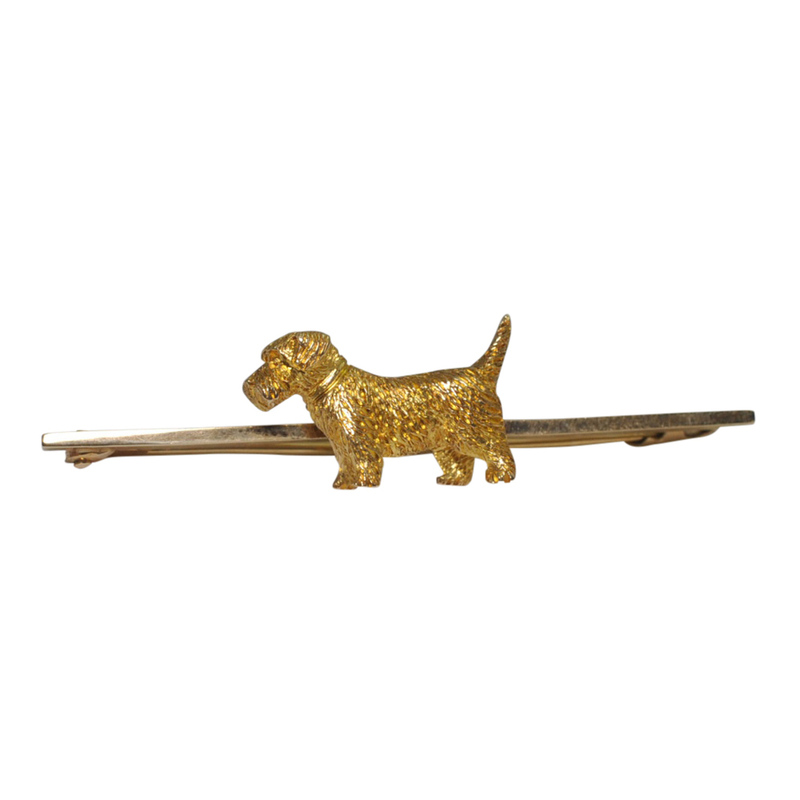 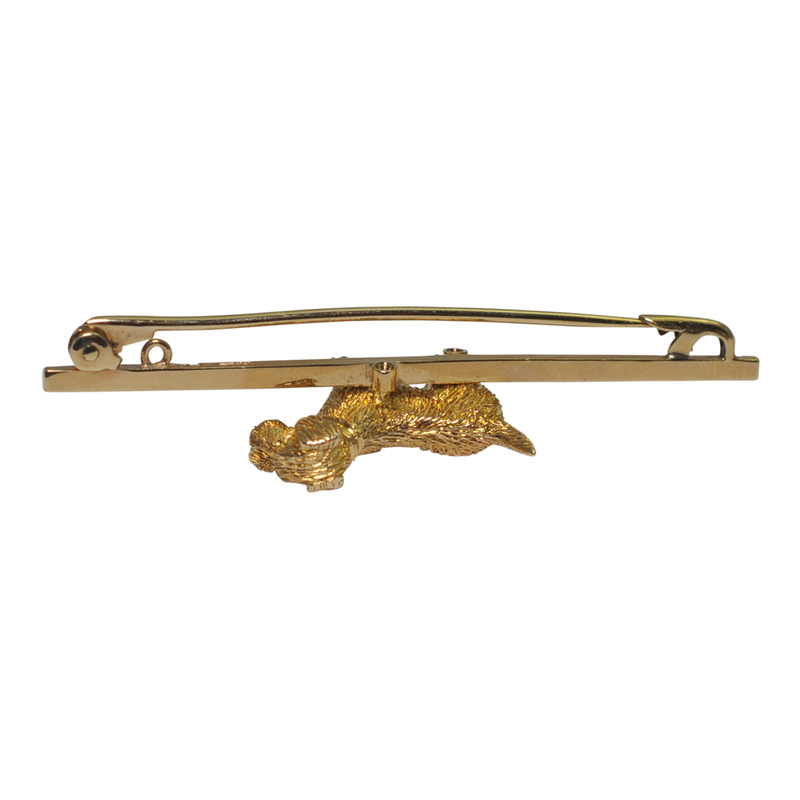 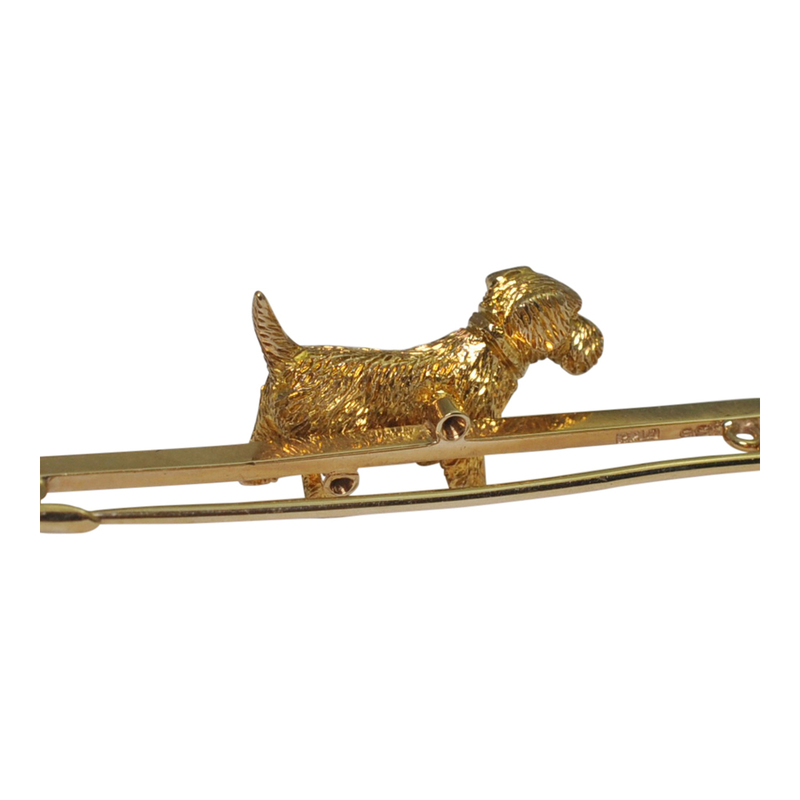 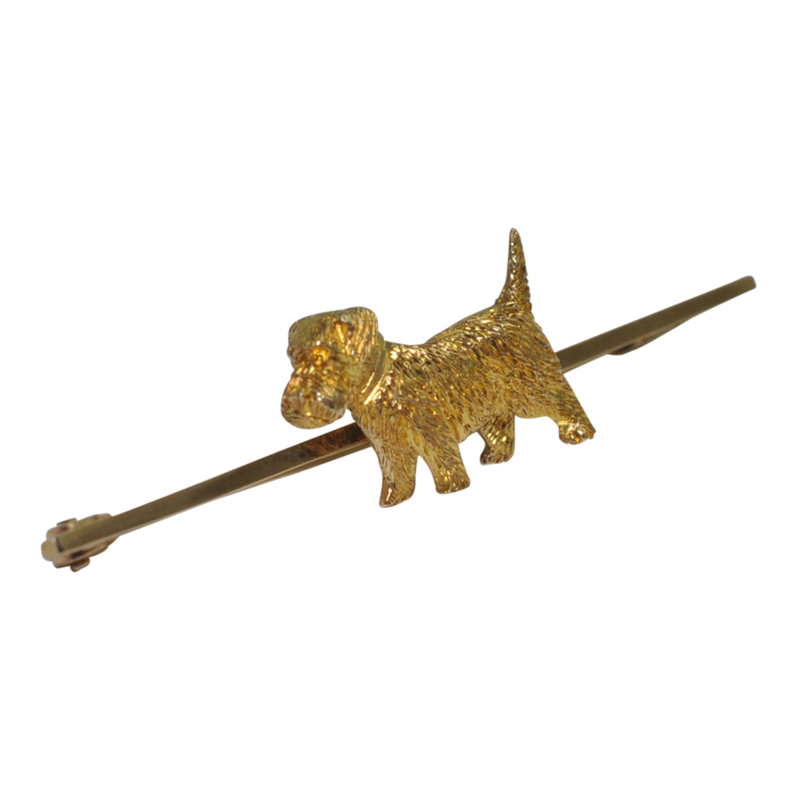 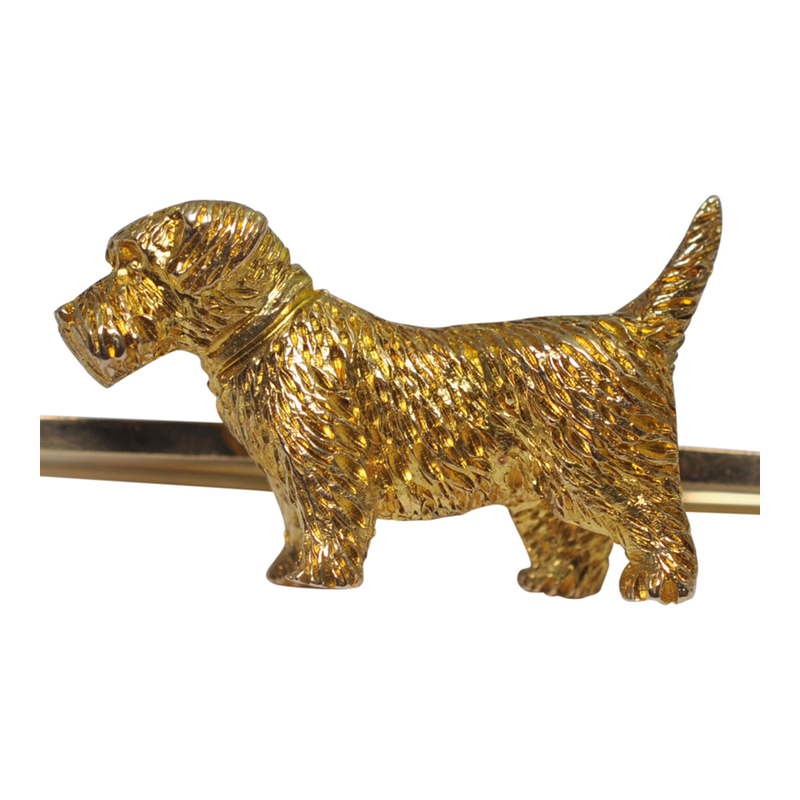 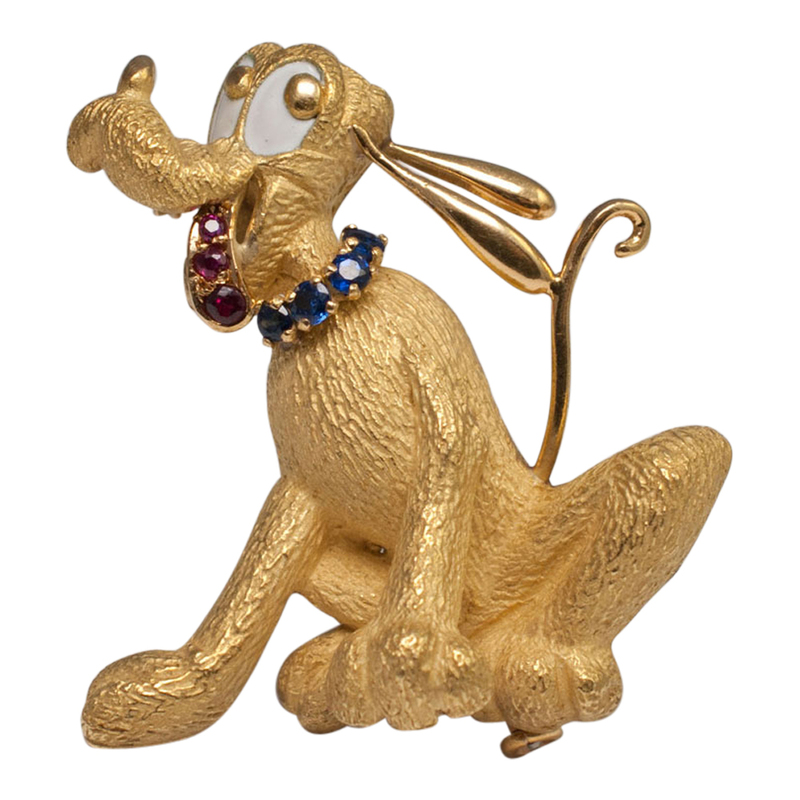 Vintage 9ct gold terrier bar brooch; our little dog weighs 6.4gms and the brooch measures 5.5cms from end to end of the pin; the dog is 2cms long; the height from tail to paw is 1cm. 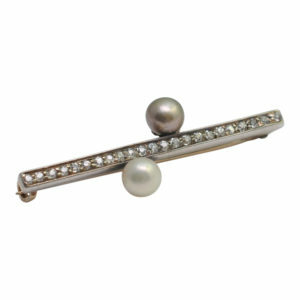 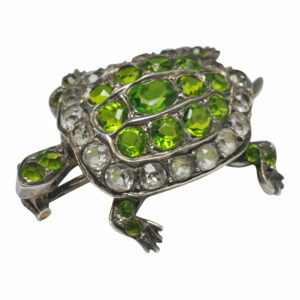 This brooch is in excellent vintage condition and has been professionally repolished. 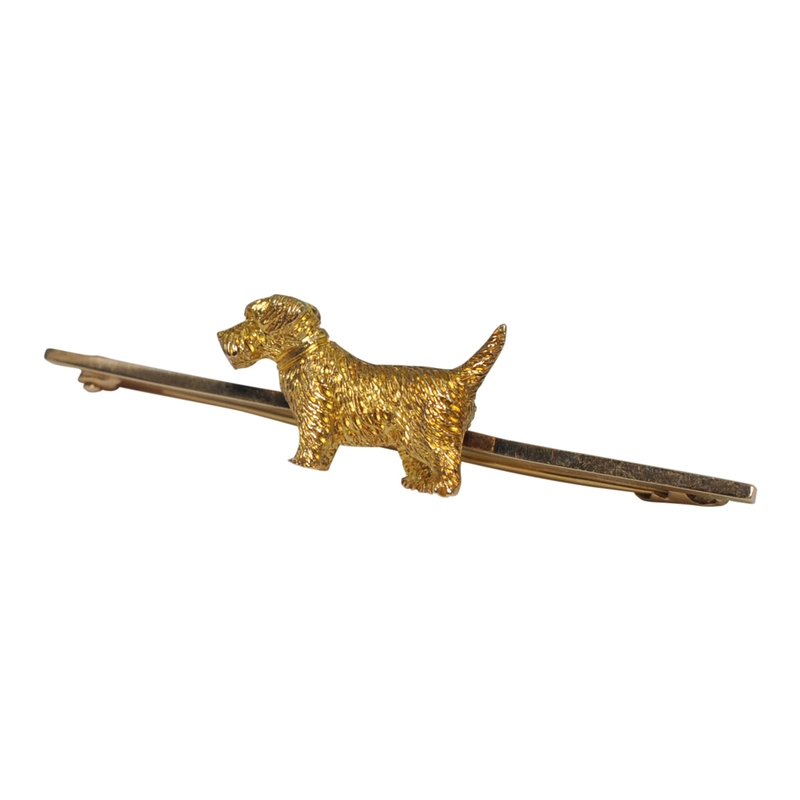 The pin is in excellent working condition. 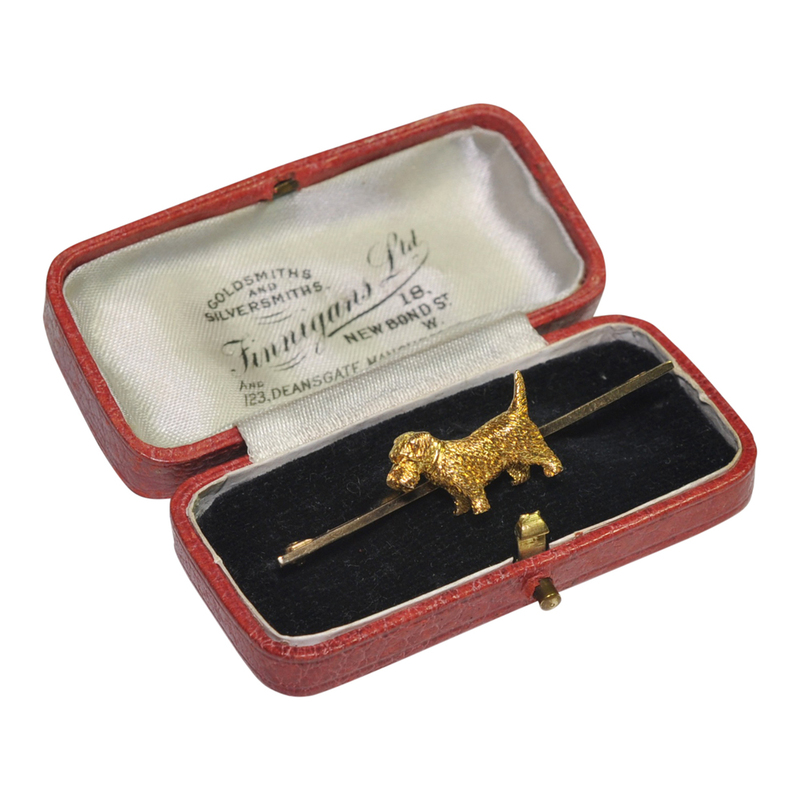 Our little dog comes complete with his kennel (case) which he has been living in all his life! 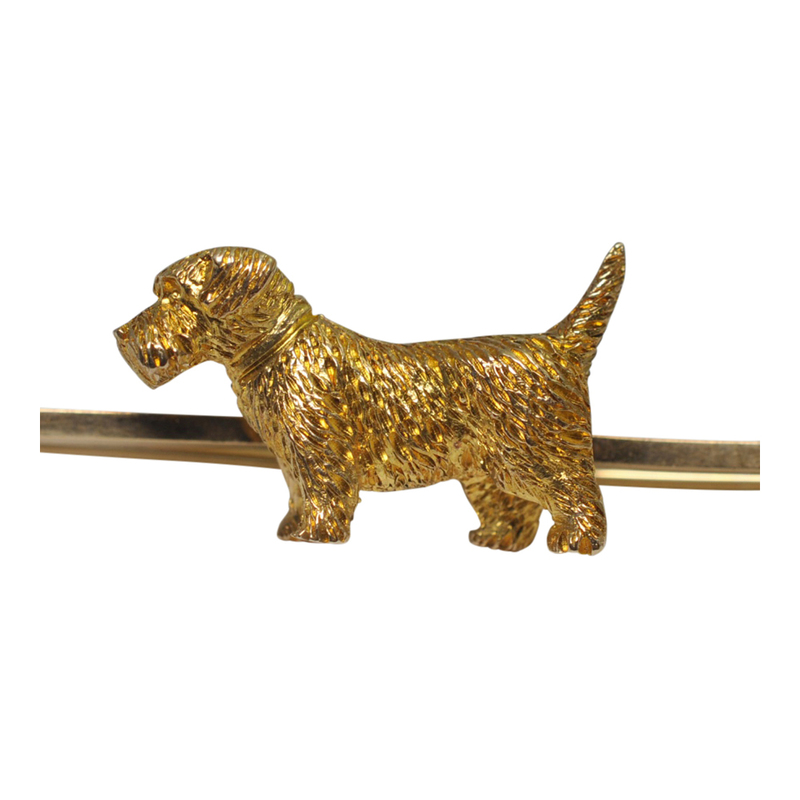 Stamped 9ct with maker’s mark. 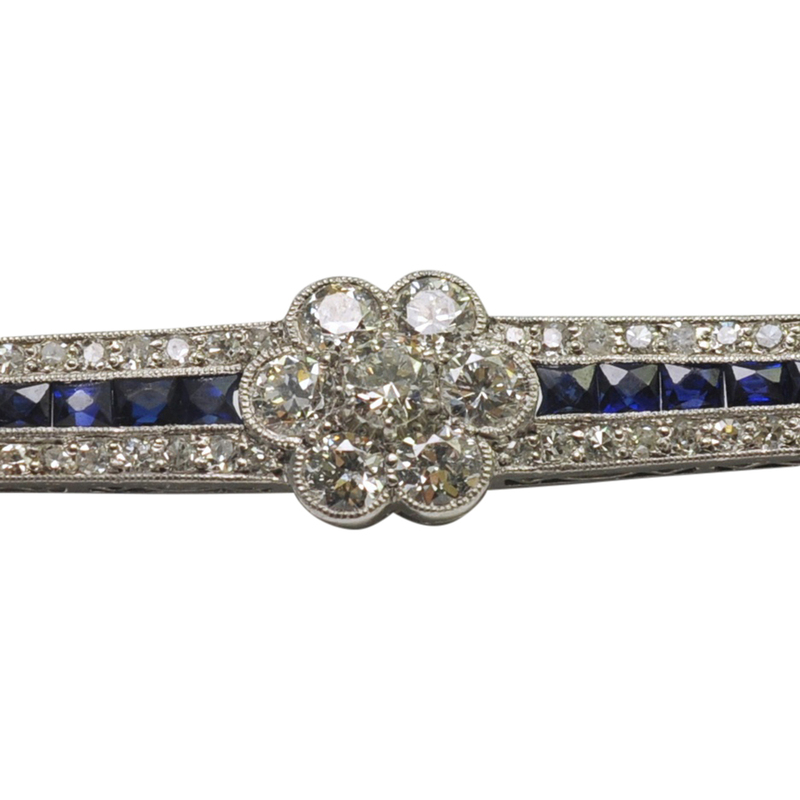 C.1920.